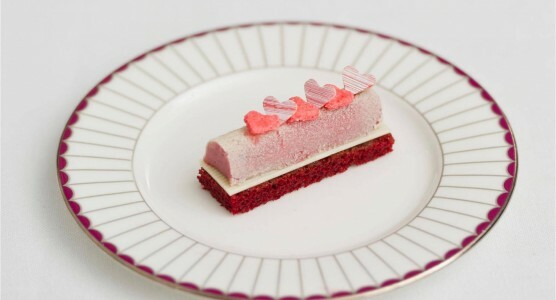 Love is most definitely in the air this Valentine's at The Corinthia Hotel. For the special occasion the hotel has partnered with renowned perfumer Roja Dove, who has created a limited edition Ambre candle to be placed around The Lobby Lounge while couples and guests enjoy a ‘Sensory Afternoon Tea’ for Valentine’s Day. The candle has been created using perfumery-grade Vanilla Bourbon, renowned for its aphrodisiac properties, creating the perfect way to heighten the romantic atmosphere whilst enjoying a glass of Laurent-Perrier Cuvée Rosé with someone special. 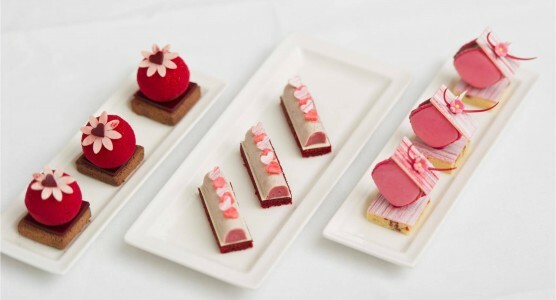 The Valentine fancies from the Sensory Afternoon Tea menu include a beautiful red velvet chocolate dome of milk chocolate mousse filled with cherry compote finished with a red velvet chocolate spray. For a sweet touch, raspberry floral macaroons decorate the plate along with white chocolate and pomegranate kisses, whilst a vanilla biscuit topped with pomegranate delice and coated with pink white chocolate glaze completes the offering. All Valentine fancies are accompanied by a glass of Laurent-Perrier Cuvée Rosé.